Specialty pizzas and salads in Palm Springs. 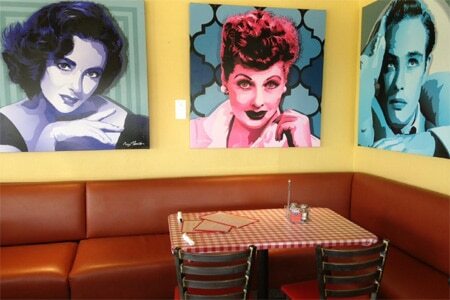 : Bill’s Pizza in Palm Springs offers a menu of specialty pizzas and salads. Among the pies, Bill's Favorite features Bill's Sauce (a winning combination of pesto and red sauce), pepperoni, salami, Sicilian sausage, onions and tomato, while the popular Elton John pizza is topped with garlic-infused olive oil sauce, artichoke hearts, tomatoes, spinach, red onions, feta and a blend of four cheeses. Pizza is available by the slice. Craft beers and Italian wines are served. Also located at 73196 Hwy. 111, Palm Desert, 760-834-8476.